Extremely nice and a good fit. A fine knit which seems unlikely to pill, unlike cashmere. 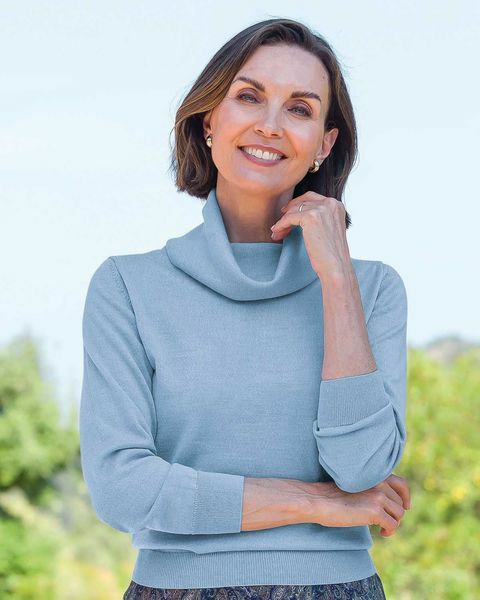 The cowl neck falls softly & is comfortable to wear. However being so fine it is also see-through, so would recommend wearing with slip or cami. Very light wool. Ideal for the spring or a cool summer day. Love it. Love it ! 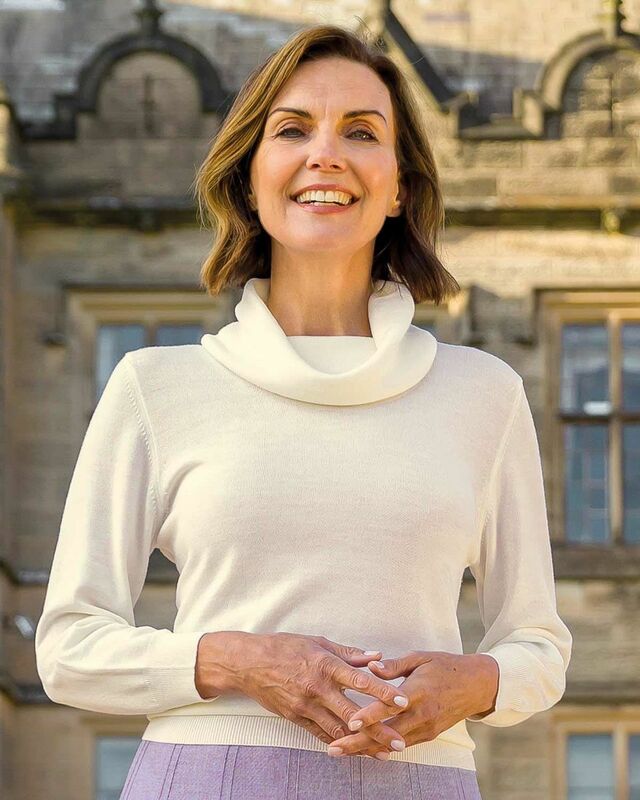 Have been looking for a cowl neck jumper since early Autumn. Not usually a catalogue shopper but am completely won over by fit, quality, service and have ordered jumper in two more colours. Excellent service. Jumper exactly what I expected. Perfect fit and quality product. The toffee colour was true to the advert and I am tempted with some other colours! My first order here and I bought two of these in a cream and blue in the same size for my sister’s birthday. The first thing I noticed was the lovely quality of the cream wool one. The jumper is a well balanced traditional style. The cowl is not overbearing. The cream looked great on my sister. She found the blue felt smaller, so I tried it on as I’m about a half size smaller than her and it surprised me how good it looked. This is a quality knit and I will now send for more from this company. Just what I wanted. Neat and very well made. Arrived in a very short time. Thank you. 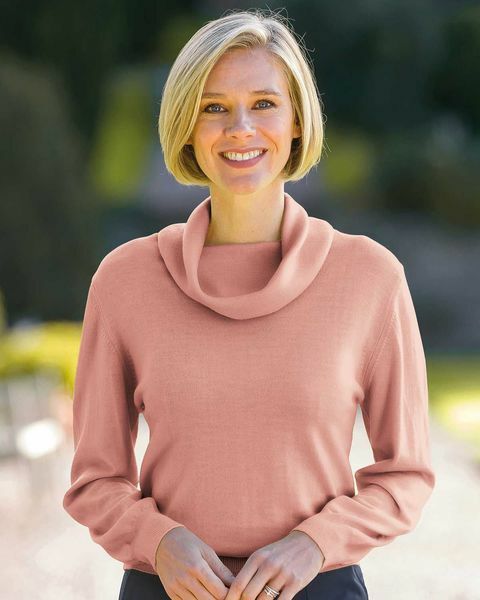 The Merino wool jumper with cowl neck is very nice, good quality. This is my second purchase. Nice jumper.Good fit. Good quality wool. 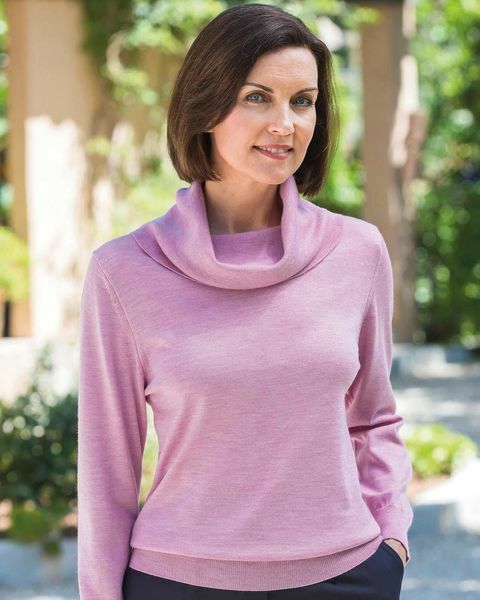 Ladies Classic Merino Wool cowl neck style sweater knitted in fine gauge merino wool. Set in sleeves with ribbed hem and cuffs. A great way to keep warm in an array of co-ordinating colours. Style with any of our seperates for an elegant look. "Extremely nice and a good fit. "